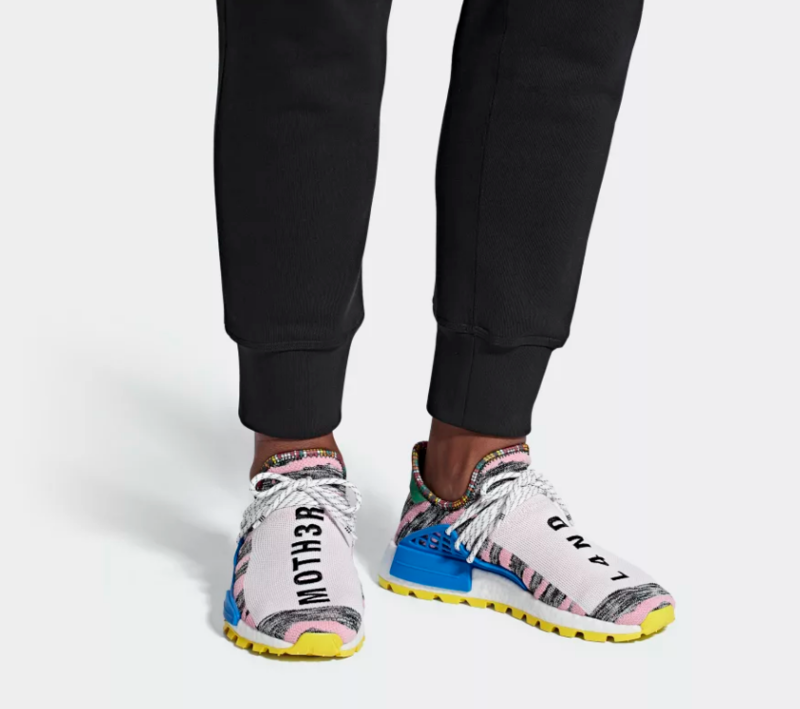 Pharrell Williams and adidas Originals have been demanding attention with their Human Race collaborations since March 2014 with their EQT yellow release. 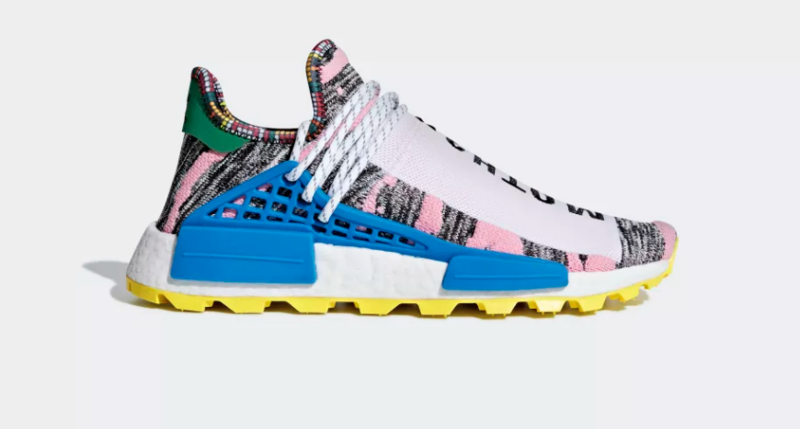 This time round this highly sought after adidas originals NMD HU colour palette has been inspired by traditional clothing from East Africa. You will see combination of intricate patterns and colour combinations across the primeknit upper. 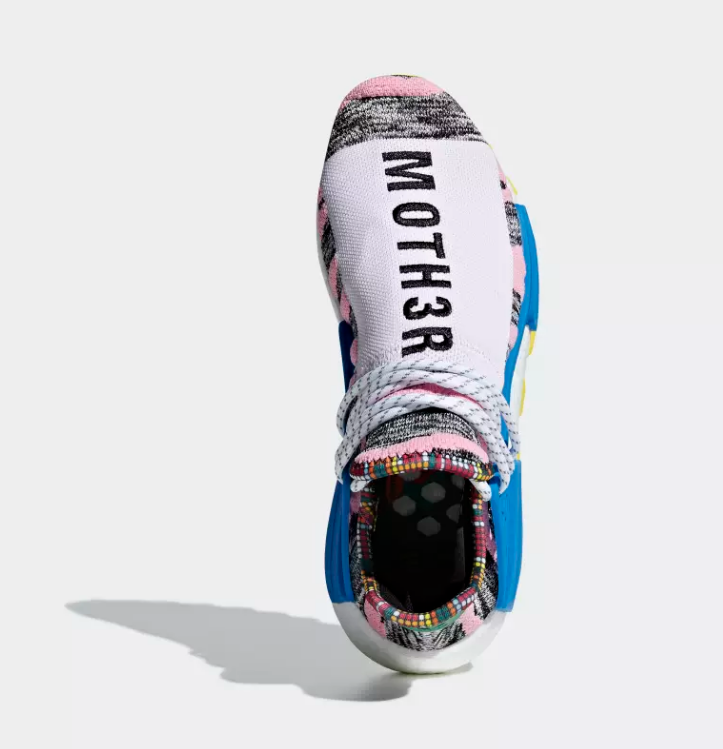 Pharrell and adidas continue to design products that epitimise the ethos of endless urban expression with how they conceptulise and execute each and every release in this series. The embroidered messaging continues to be strong as we see MOTH3R on the right foot and L4ND and the left. Be warned...This unique and collectable release is only available in extremely limited quantities.